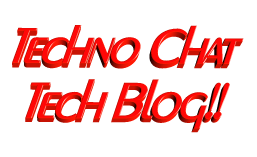 Auditing File Access on File Servers | Techno Chat|Tech Blog!! For last few days, I was trying to figure out how to set file system auditing via command line. I was looking for this as I had to apply some specific audit policy on multiple file servers. From GUI, we could do this, but it will take hours of manual activity. As requirement, I had to set Success Audit policy on Delete subfolders and files, delete and change permission. There are multiple tools available, but none of them have ability to apply specific policy, so I decided to try PowerShell, and finally able to apply those audit policy successfully. Posted in Admin Tools, Windows. Tagged apply ntfs audit permission using powershell, Applying an audit configuration by using the command line, Audit Policy from Command Line, Audit Policy PowerShell, Auditing File Access on File Servers, auditpol, Command line process auditing, Enable File Access Auditing in Windows, file system audit from command line, file system audit script, Fine Tune Your Security Audit Policies, how to remove file auditing rules via Powershell, powershell audit script, PowerShell Security Audit Scripts.